The closing of Pakistan's airspace saw Gulf Arab airlines, which serve as a link between East and West in global travel, rapidly reshuffle their flights. 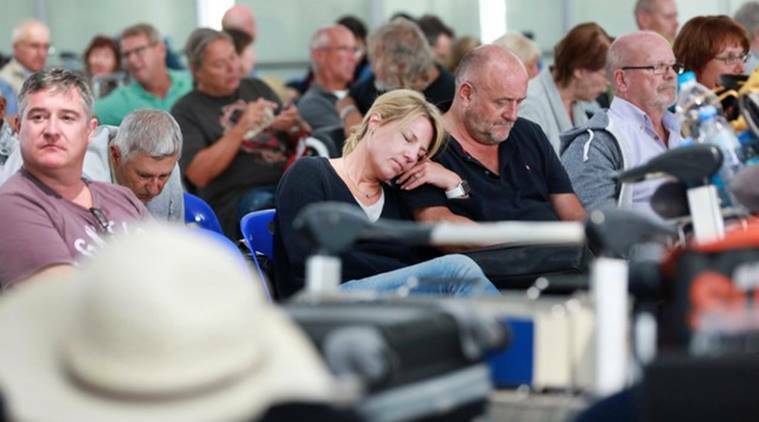 A temporary closure of air space over Pakistan snarled air traffic Thursday, especially between Asia and Europe, though some airlines adjusted by rerouting their flights. 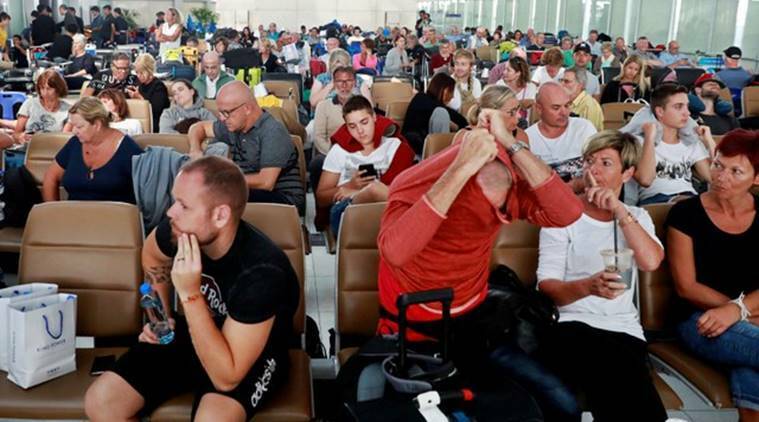 The disruptions brought a month-long tropical holiday for a group of 25 Danish students unable to board a connecting flight in Bangkok to an unhappy end. “The guard over there just said we have to go down to the basement to sleep. So we can’t get any help or information,” said Sara Bjerregaard Larsen, 21. The first available flight to London on Thai Airways, according to its booking website, was Thursday, March 7. Following tensions between India and Pakistan, aviation authorities in Pakistan said the country’s air space would reopen as of midnight Thursday (1900 GMT). India also suspended flights through some of its northern airports on Wednesday. Those facilities were back to normal on Thursday, but flights both to the US and Europe out of New Delhi were affected. A United flight from Newark, New Jersey, to New Delhi was rerouted through London and later cancelled, and Air Canada cancelled flights from Toronto and Vancouver to the Indian capital. As of mid-morning Thursday, Chinese airlines had changed the routes of seven flights due to the closure of Pakistani airspace while foreign airlines were allowed to divert 40 flights through Chinese airspace, the Civil Aviation Administration of China said on its website. Air China cancelled its flight Thursday from Beijing to the Pakistani capital, Islamabad. According to an employee of the airline’s publicity office in Beijing, the status of other flights would be decided later. The closing of Pakistan’s airspace saw Gulf Arab airlines, which serve as a link between East and West in global travel, rapidly reshuffle their flights. In the United Arab Emirates and Bahrain, civil aviation authorities immediately halted their flights to Pakistan. Airlines in those countries include the long-haul carriers Etihad, Emirates and Gulf Air. Saudi Arabian Airlines and Oman Air similarly cancelled flights to Pakistan. Pakistanis work in a variety of blue- and white-collar jobs across the Gulf Arab states.